This giveaway is part of our Valentine’s Day Gift Guide & Spring/Easter Gift Guide. A photograph is worth a thousand words – so why not tell your story with a Canvas Print?! CanvasChamp will help you turn your most cherished photos into beautiful works of art. 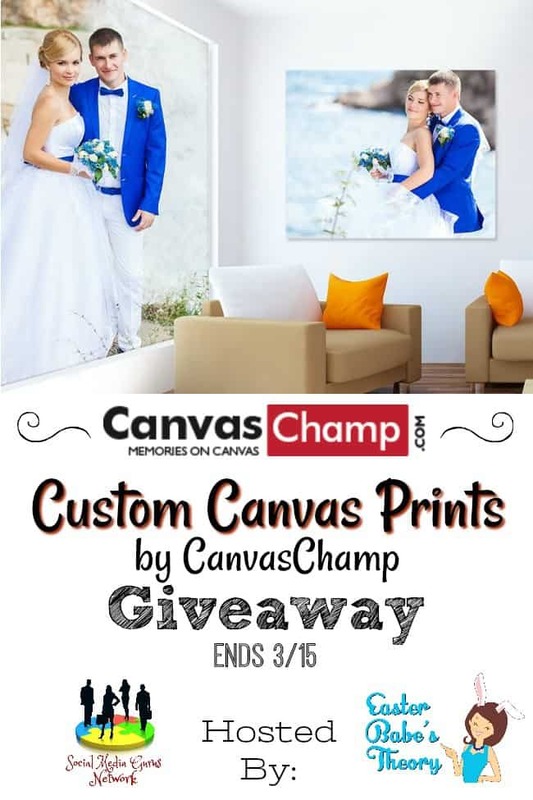 Print your photos as high-quality canvas prints at any size from 8″ x 8″ to 54″ x 54″. They have unlimited options and best customer service backed by a 100% “love-it” guarantee! Just take a snap and have it printed on high-quality canvas with all the moments in your life. They’re running 87% off canvas plus more special offers on each occasion! If you like our blogs on social media, it helps us bring you only the best giveaways and more of them! Previous post: Are your children safe online? I want to have pictures of my first grandbaby, a little girl named Lakota born this past November, captured on canvas. I’d like to capture one of our Confederate roses while they’re in bloom.